Hi, Connie here with a Father's Day card for that special Dad!!! I created with the Farm House Collection by Quick Quotes and all the stamping was done with Quick Quotes PowderPuff Chalk Inks. 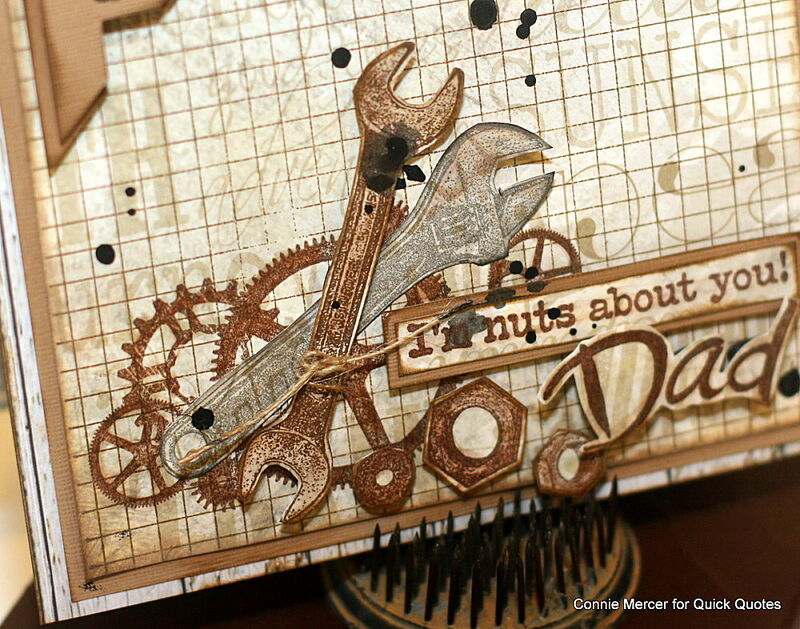 I happened to have the perfect stamp set that says it all ~ I'm nuts about you! 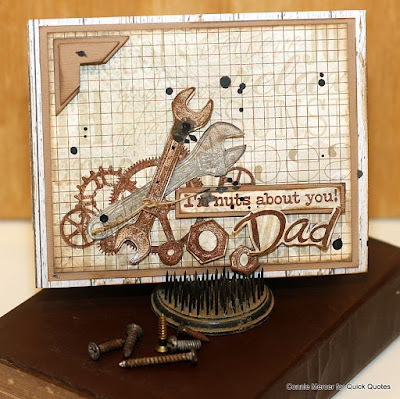 All of the nuts and tools were stamped out using different colors of Quick Quotes PowderPuff Chalk Inks, then cut out and pop dotted on the card front.